Revel in me...: Live on Bella NTV7. 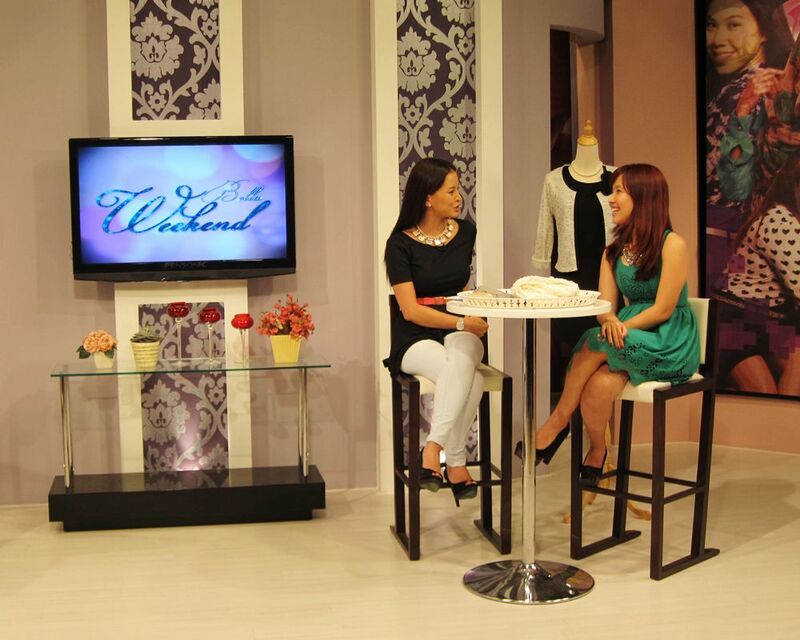 Ok, this is a little late, but I was on Bella, NTV 7 (Sunday 1.30pm show) yesterday to talk about AZORIAS!! Didn't want to announce here beforehand 'cause I shy. Heh. With host, beautiful Daphne Iking. Posing before going on air. I was wearing a crochet lace dress from AZORIAS, and Manny was wearing this dress and cardie (coming soon). ooh, i missed the session, should have given us the sneak peak earlier... any videos on it perhaps? & you look more stunning in the green dress as compared to the initial black one =) keep on the great work!!! it has ѕome overlappіng issuеѕ. I just wanted to provide you ωith a quick headѕ uρ!